Everyone likes to receive some love on their birthday, everyone including our parents, uncles, aunties, grandparents, our close friends and acquaintances, and our bosses. We feel good when we receive gifts, surprise parties, special outings, vacations and a simple birthday message as a text message, email, on social media or a simple birthday card. 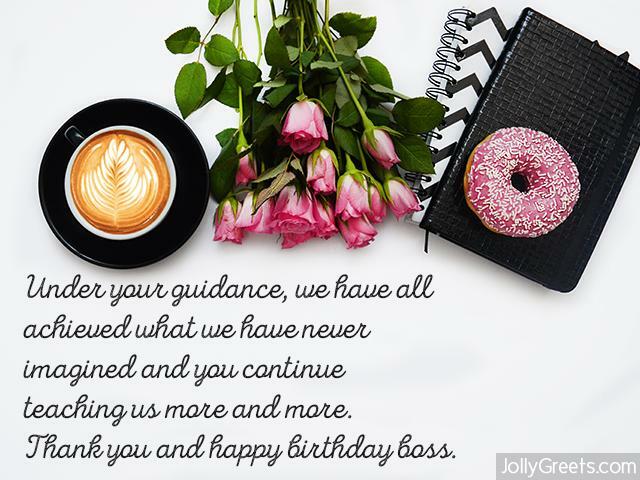 It is easy to come up with such messages that express our love and care to the ones we love but it can be a bit challenging when it comes to sending birthday messages to our bosses. Many people ignore their bosses birthdays, not because they do not care or they don’t want to, but because they don’t know the best way to wish their bosses. Some just wish their bosses a simple “happy birthday” message that sounds as a cliché. Birthday messages are supposed to make someone feel loved and cared for no matter so adding a personal message from the heart goes a long way to make someone feel special. 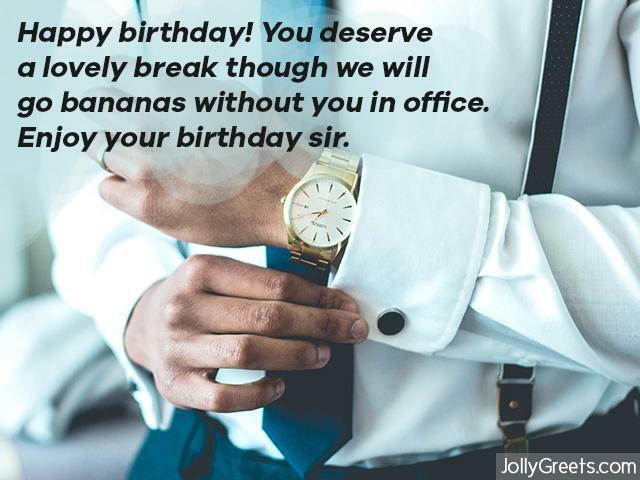 Let your boss know how glad you are working under there guidance on their birthday with these wishes. Your wisdom amazes, happy birthday boss. Your zeal for work always motivates me to do my best. Enjoy your birthday. (For a boss who is also a friend)Happy birthday to a boss who is never a boss and always a friend. Enjoy your day. Thank you for your great work and accomplishments. As you celebrate your birthday, we also celebrate your hard work, sacrifice and your abilities of leading such a group with ease. Happy Birthday! Happy birthday! You deserve a lovely break though we will go bananas without you in office. Enjoy your birthday sir. It is always a pleasure working with a boss who never bosses around. Happy birthday! Under your guidance, we have all achieved what we have never imagined and you continue teaching us more and more. Thank you and happy birthday boss. You bring out the best in every one of us! We are so lucky to have you as a boss, so wonderful and motivating. Here is to wishing you a day that is so special, just like you are. Wishing you success, happiness and health on your born day. You are a special boss. I’m so happy to say that you have a been a great boss and it has always been a pleasure working with you. You really deserve a warm greeting on such a special occasion. Happy birthday boss! Today is your birthday and we cant keep cool. Ma and the rest of the team are glad to share our love with you on this day. You are such a good person and we hope that even as you grow od year after year; you will still remain the same to us. Thank you for the for your inspiration and encouragement. Happy birthday boss! Your cheerful attitude makes it a joy working for all of us. You are such a great boss, happy birthday! Being a great boss as you are, you have always guides us in every step of the way. Thanks for your motivation and direction sir. It means a lot, happy birthday full of blessings. Here is to wish you a happy birthday and to many more. Happy birthday boss. Our success is a reflection of the great work you have always done to see us on the right part. We don’t know the right words to express our gratitude but to say thank you and to wish you a happy birthday. Wishing you a great and joyous birthday, dear boss. And a year full of blessings and success. Have a fun-filled day and may your wishes come true! Happy birthday. We don’t burn bridges so ex bosses are worth wishing a happy birthday too to make them know that you really care and appreciate their inspiration, kindness and support over the years. Here are some birthday greetings for ex-boss. As you are opening another milestone today, I pray God opens more opportunities and renews your strength. Happy birthday and thank you for your service! May this day usher in long life, more wisdom and the ability to lead well as you have always done. I wish you nothing but the best on your birthday. This is a day worth celebrating God’s grace and kindness. You have been a special visionary leader who has dedicated his life to the service of humanity. On this special day I wish you joy and success. Happy birthday sir. Your leadership skills have placed you in many people’s hearts across the world. Happy birthday! Enjoy your special day and everything you deserve on this birthday. I wish you a happy birthday. May you live a long healthy and happy life. You have been an inspiration and a mentor. You have been special. your achievements make others achieve too. Happy birthday. Being blessed is natural to you. Here is to wishing you a successful career. Happy birthday. I know we have that rule about not drinking in the workplace. Well it is your birthday I thought we can break it. Have a happy one! I know we will! We may have lost the contract we wanted so bad, but the world has a way of balancing things. We managed to get you that cake you love, happy birthday. We will try and do everything as perfect as we can today. But you know how it is… Happy birthday! If I wanted to be sucked by anyone, I wouldn’t want it to be you. Happy birthday! Hurray! It is my boss’s birthday! Happy birthday boss! If a trainstation is where the train station stops, what is a workstation? Boss… success and blessings is what I wish you on your birthday. If you feel like doing something in return, you may up my pay. Happy birthday!